A smart way to manage all your competitors in one place. 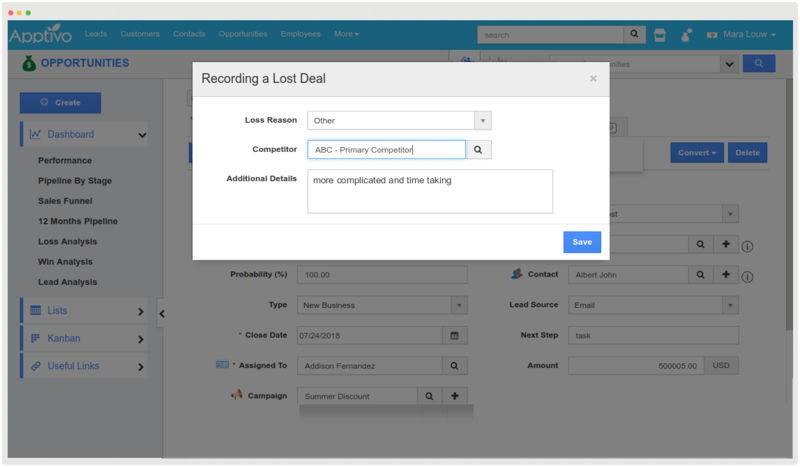 Say goodbye to spreadsheets! Apptivo Competitors App offers an easy to use platform to create and manage all your competitors effectively. 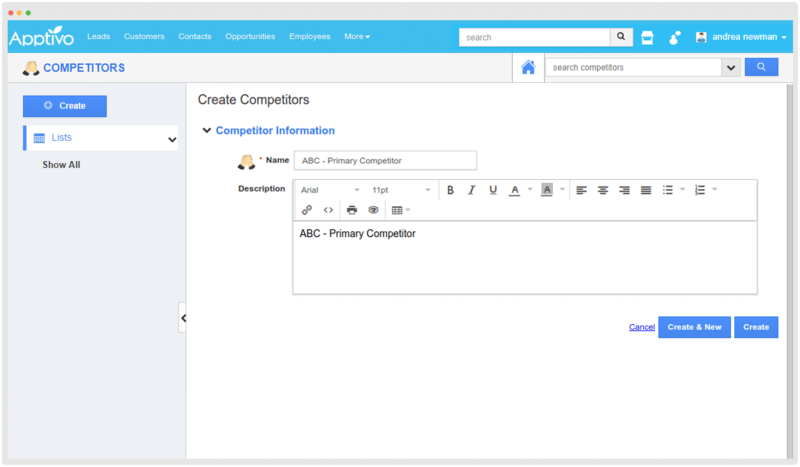 Create competitors and manage their information seamlessly, keeping track effectively in one central place. It always makes sense to look back and evaluate your lost deals. One such reason could be your competitors, which will be listed from the Competitors App, when marking an opportunity as a closed lost and you can specify the competitor.